Drum, Drills & Improv skills continues in 2017! How does one become comfortable performing to live music? The best way is to do it as much as possible! This weekly one hour class focuses on belly dance technique and form but with a twist, every class includes 1 - 3 musicians playing live music, including rhythm, melody and drum solo improvisation! This on-going class will provide students with the opportunity to increase their dance technique and endurance as well as gaining a comfort level dancing to live music. Intended for dancers with at least two sessions of belly dance under their hip scarves, each class includes a warm-up, drills, improvisation session and cool down - all to LIVE music. Bring comfortable clothes that allow for a range of movement, you may want to dress in layers as we will sweat, sweat, sweat! A water bottle and yoga mat are also recommended. **Why does this class cost more than Joie’s regular classes? Without the musicians to play the music for us this class would not be possible. The extra class fee is to help compensate them for their time and effort in providing us with this wonderful opportunity. I am delighted to present one of my favorite workshops, Deep Improvisation, co-taught with musician Stephen Carpenter. This is our first time bringing this workshop to Vermont. I hope you will join us in this exploration of the connection between movement and the deep self. Improvisational dance can be a tool not only for performance, but also for exploring our deeper self and connecting with our subconscious. Cultivating this connection can aid dancers in bringing greater emotional depth and conscious voice to their dance, and build a bridge between the intentions of the mind and the movement of the body. Using guided physical meditation and improvisational exercises we will transform our dance into deep emotional expression in the moment. Students will explore rhythmic physical storytelling as well as energetic and emotional projection. How to use utilize these techniques in one’s dance practice and in performance will also be covered in the workshop so that students may continue to explore. The workshop is conducted to live improvisational music provided by musician Stephen Carpenter. In order to facilitate free exploration we seek to create a safe space for all types of dancers to explore creative expression. Classes are open to students who have at least one session of dance classes or have a basic understanding of dance movement. Students should dress in a manner suitable for a wide range of movement. A notebook and water bottle may also prove useful. Focusing on internal exploration and external expression, attendees will learn to develop a new understanding of their individual creative energy and process. This experience will inspire its participants to explore their own creative language through guided shamanic journey and dream state, as well as carefully selected movement and dance exercises tailored to promote healthy energetic creative practices. In a supportive atmosphere, attendees will tactfully learn how to connect with spirit guides and tap into their own abundant energy reservoir in order to radiate a harmonious, energetic and abundant presence. To register please visit the workshop page HERE. This on-going class will provide students with the opportunity to increase their dance technique and endurance as well as gaining a comfort level dancing to live music. Intended for dancers with at least two sessions of belly dance under their hip scarves, each class includes a warm-up, drills, improvisation session and cool down. Students will also be provided information on the music and rhythms played in class. This class is open to intermediate to advanced belly dance students who are interested in joining the new theatrical belly dance troupe led by Joie Grandbois. Students who participate in the full session will be eligible to join the troupe forming in September. Each class includes a warm-up with drills, theatrical dance exercises and cool down. You will want to wear comfortable clothing that allows for freedom of movement. You may also want to bring a notebook and a water bottle. Are you looking for opportunities to perform, have fun and engage in some creative collaboration? The troupe will bring together students who wish to continue to polish their performance technique, expand their theatrical skills and take advantage of performance opportunities in the area. Students who join will be expected to attend classes/rehearsals regularly. This is a teaching troupe; students will be provided ongoing dance instruction and critique as well as working on choreographies intended for future performances. 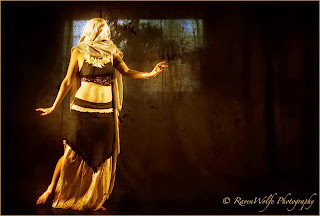 Performances are rooted in the dance technique and style of belly dance, but will include storytelling, emotive movement and creative improvisation. Performances may include live or recorded music. Bring comfortable clothing that allows for a range of movement. A water bottle, notebook and yoga mat are also recommended. Students will be sent an invoice after receiving approval to join. 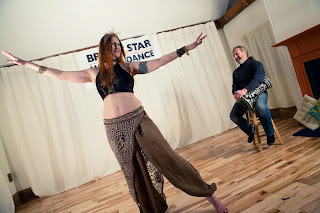 Spring Theatrical Belly Dance - with Live Music! Cost: $60 Full session /$12 drop in. Each class includes work with foundational belly dance movements and improvisational theater exercises. This class will include live music provided by Stephen Carpenter​! This poem was inspired by an email I received a few years ago in which the sender proceeded to include a detailed list of what they perceived to be my many and varied flaws (and I'm not going to say that this individual was totally wrong - they were rather pinpoint accurate on a few). At the end of this rather long, and quite personal, email, they chose to close with the words, "I hope you don't take this personally..."
Out of this a poem was born. Thank you to Daniel Merrill for the recording and mastering. And to all my fellow SASFA15 shipmates who attended the coffeehouse at which it was first publicly presented.